Panbaltica is specialized in group travel for bigger and smaller groups. We arrange accommodation, cultural travel programs, active holiday or just relaxation in all three Baltic countries. You are ensured a high-quality travel experience by our presence in each of the three countries, where we have local staff, speaking the local language and having profound knowledge of their country. 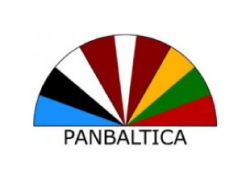 Behind Panbaltica is an experienced, creative and dynamic team, who wants to offer you the best the Baltic countries have to offer.